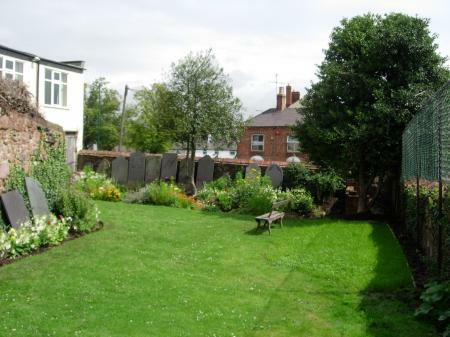 Rothley's 'Secret Garden' is in the centre of the village and unknown to many residents. 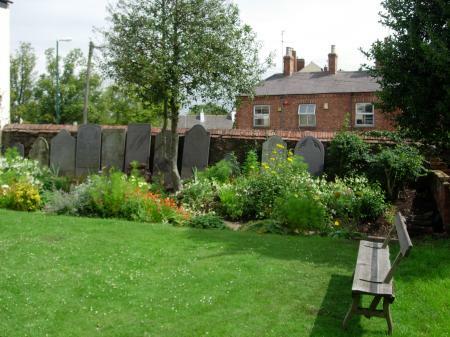 It is the Burial Ground of the Rothley Baptist Church and was closed to burials in 1904 when the new cemetery in Mountsorrel Lane was opened. In late July 2009 the results have been very rewarding as shown above. The entrance to the church is to the left. The headstones have been excavated and straightened. The view above looking to North Street in late July 2009. In late July 2009 looking towards Howe Lane. 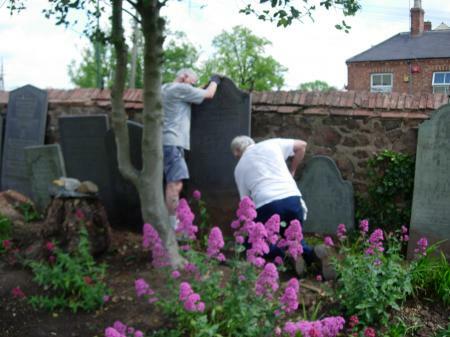 On the 30th January 2009 I visited the Baptist Church Burial Ground to record the headstones as part of a Rothley Heritage Trust project and in March 2009 I was approached about the church pipe organ which was in need of restoration. 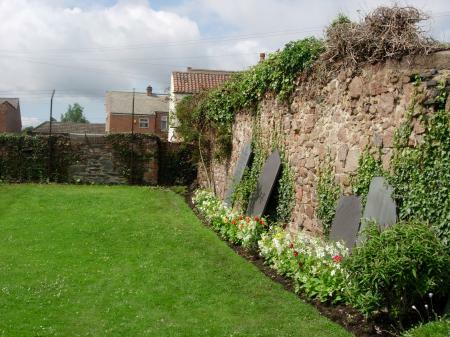 Putting these two items together was the start of an idea to include the Baptist Church and Burial Ground Garden as part of our proposed Heritage Open Day 2009. 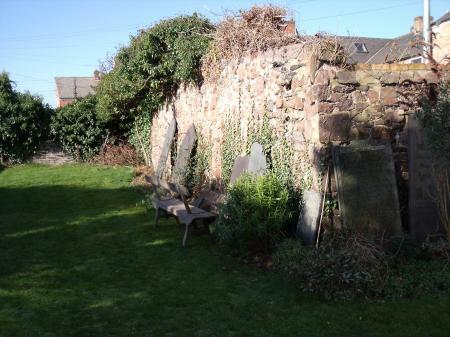 Some of the headstones had sunk over the years or were leaning badly and the garden was very much in need of attention. The ivy was invasive on a massive scale, the flower beds were getting overgrown with dominant species and the weeds seeding everywhere. 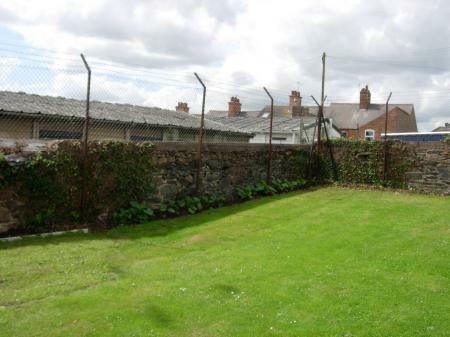 Help was needed to restore this lovely garden and the team set to work in March working every Friday morning from 10-12. 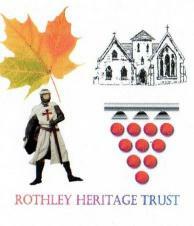 This has now taken us almost five months and all should be ready for the Heritage Open Day on Sunday September 13th 2009. 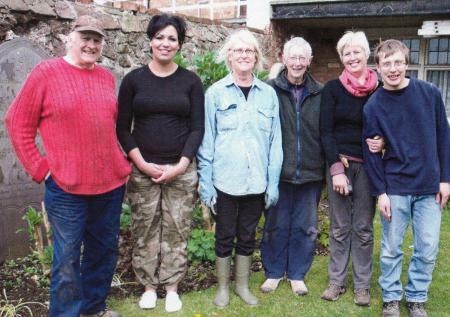 The Gardening Team, left to right, Frank Whitby, Michaela Rhodes, Brenda Sutherland, Marion Vincent, Anita Armstrong and Richard Tansley. Not shown is Steve Mitchell. Major work included the removal of piles of dead vegetation to the composting bins at the tip, levelling the ground after removal of roots, rotivating, seeding with grass and making the edges. Frank took on this as one of his roles and the transformation was superb. This area is shown in the top picture on the right hand side. A major task was the re-positioning of leaning and sunken headstones and this was done by Frank and Steve using a tremendous amount of muscle power and energy. 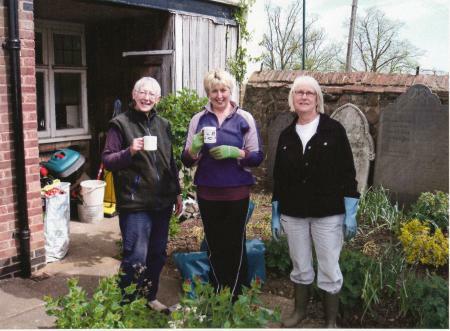 Frank also re-organised the corner compost heap to take the church flowers and lawn mowings. The ivy had a tremendous hold in the garden, covering the lovely stone walls, growing in the perimeter wire, out of the tops of walls and seeding everywhere. Richard, Anita and Brenda tackled this job and many weeks were spent on this alone. You can now see the perimeter wire cleared of the tough, thick ivy branches. We will now see what we can grow to give colour and provide nectar for insects in place of the ivy flowers and fruit. As we were working through the growing season it was impossible to work to a flower planting scheme but due to the very wet summer of 2009 we could plant as we progressed just to get some colour into the garden and fill in the gaps. Marion was busy with the weeding, growing the plants at home, arriving every Friday with more planting and hoping that they all survive for the Heritage Open Day 2009. 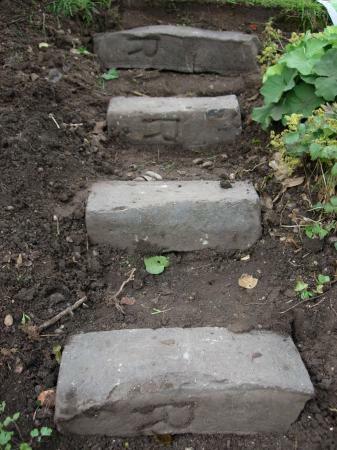 Frank and Richard re-built the steps and discovered the large "R" which is now displayed to see if anyone can give any information about this. Marion, Anita and Brenda with morning coffee. This has been a tremendous team to work with and it has been great fun as well. Thanks to Liz Gibson for all the coffee and biscuits at 11am every Friday morning and for allowing us to "invade" the garden, work to our own plan and giving permission for it to be opened for the Heritage Open Day. Finally, a very big thank you to Frank, Richard, Anita, Brenda, Steve and Michaela for responding so readily to my plea for help in a "small" gardening project. You will never believe me again when I need volunteers for just a "little" job! 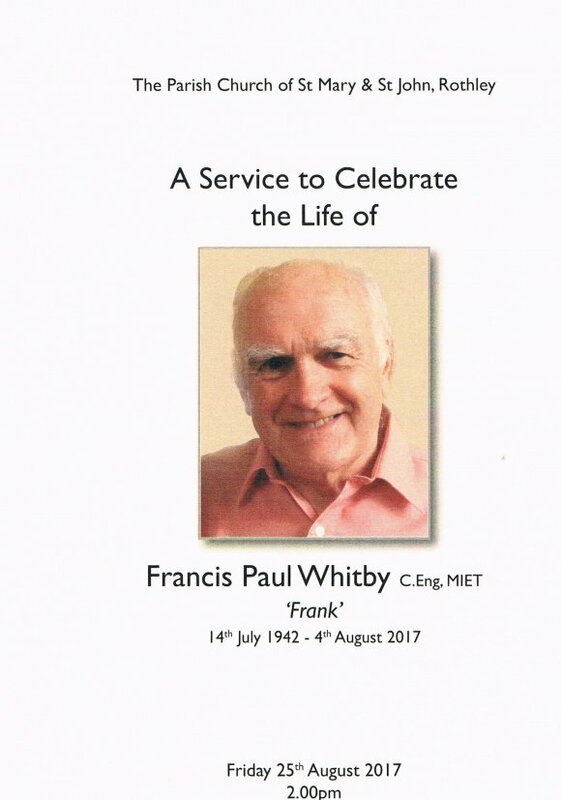 All our work in this churchyard would not have been possible without the help of Frank Whitby. He brought his trailer every Friday to take all the rubbish away, he brought the gear to get the headstones upright and he spent time showing Richard how to use the rotivator and other gardening techniques. Frank died on the 4th August 2017. We dedicate all our work in this churchyard to his memory. Thank you, Frank. XHTML 1.0 validated. WCAG compliant. Page generated in 0.2372 seconds.